Pioneering subsea communications technology from Sonardyne International has been used to stream the first live broadcast to global audiences from an underwater submersible. International news agency Associated Press (AP) used Sonardyne’s BlueComm wireless through-water optical modem technology for the live broadcast from a two-person submersible operating in waters off the Seychelles, in the Indian Ocean. 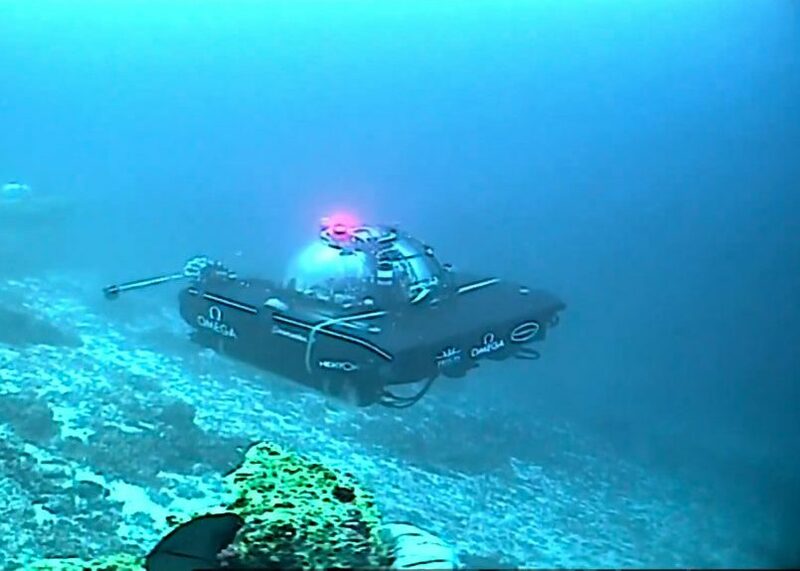 The broadcast is part of the Nekton Deep Ocean Research Institute’s First Descent expedition, which is exploring some of the world’s least explored areas of the ocean around the Seychelles, as part of a project to increase understanding and aid protection of the marine life they contain. 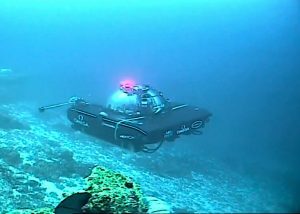 By using a Sonardyne BlueComm free space optical modem on the submersible, and a BlueComm receiver deployed from the hull of the Ocean Zephyr research vessel, real-time video from one of the mission’s two submersibles was able to be streamed through the water and then broadcast live across the world, enabling the general public to, in-effect, join the scientists as they explore their underwater habitats. Sky News and Sky Atlantic, as part of Sky Ocean Rescue, which have also joined the mission, plan to broadcast three live subsea programmes, which will include live simultaneous broadcast from both of the mission’s two, two-person submersibles, again using BlueComm. While video transmission from a manned submersible using optical communications has been achieved before, this will be the first time it has been achieved from two, working in close proximity, which means overcoming the challenges of signal interference. “Without BlueComm, this could not be done,” says Darryl Newborough, Sonarydne’s Technical Director. “The submersibles have no cable connection to the vessel, so they cannot send their video feed through a cable. Acoustic communications technologies work well, and over long distances, but their bandwidth is not wide enough to support live video streaming. BlueComm is the only option.” BlueComm is the only commercially available technology that enables wireless transmission of high bandwidth data, including video, over ranges of a few tens or even hundreds of metres, at rates of up to 10MB per second. Sonardyne is the official Subsea Communications Partner for the First Descent mission, which is exploring the Indian Ocean through 2019-20. The first expedition is running from March-April 2019. Supported by thirteen scientists based on the Ocean Zephyr, Nekton’s goal is to undertake at least 50 first descents into these waters to generate data which will support a Seychelles’ Government commitment to protect 30% of their national waters.